If you incommode from iTunes error 9006 when you updating or restoring your iOS device using iTunes on Mac or Windows 10/ 7. Then don’t frustrate now, because of we give you guidance on how to fix iTunes error 9006 when updating iOS 11/ iOS 11.2/ iOS 11.3/ iOS 11.4 or later. If in your iPhone has the previous version of iOS such as iOS 10 or earlier. So inherently you want to upgrade it up to iOS 11 right. But whenever you connect your iPhone or iPad with the desktop when you want to update your iDevice firmware or purchase Music from iTunes. 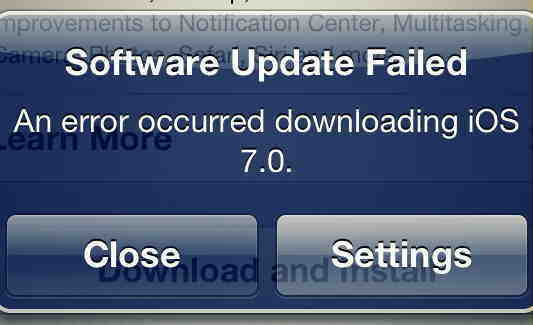 Sometimes errors occur, probably less space iPhone or iPad like, 16 GB iPhone/iPad. Errors are creating in middle process of downloading or due to network connection lost. Here you can see the whole screen of Mac. →Verify that access to ports 80 and 443 are allowed on your network. →Verify that communication to albert.apple.com or phobos.apple.com is not blocked by a firewall, or other Internet security setting. →Discard the .ipsw file, open iTunes and attempt to download the update again. See the steps under advanced Steps > Rename, move, or delete the iOS software file (.ipsw) below for file locations. →Restore your device while connected to a different network. →Restore using a different computer. Then select your iOS device [iPhone, iPad] software and downloaded file in a new location folder. Now shift your Mac music file to your iPhone or iPad. These kinds of problems are creating when you restore your iPhone or iPod with connecting iTunes, in most cases if internet connection closes meanwhile the updating or restore process. So when you get this kind of iTunes error 9006, check first internet connection. 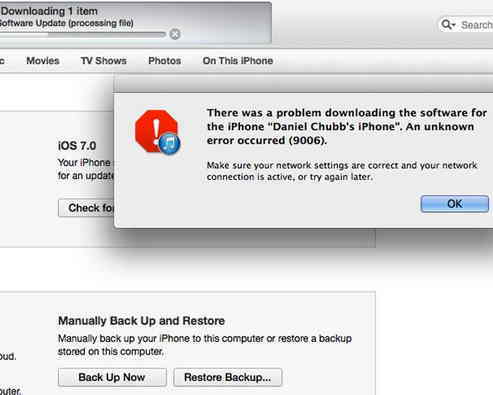 Let’s share your opinion on how useful this tutorial how to Fix iTunes error 9006 when updating your iPhone or iPad from iOS 11 to iOS 12 or more. Kindly keep in touch with us to get excellent tips and tricks on iPhone, iPad, iPod touch.